Hi everyone! The giveaway in my Ravelry group is still going strong. There are mini-giveaways going on until we reach 5,000 posts in The Cafe thread. Current post count: 4,854. 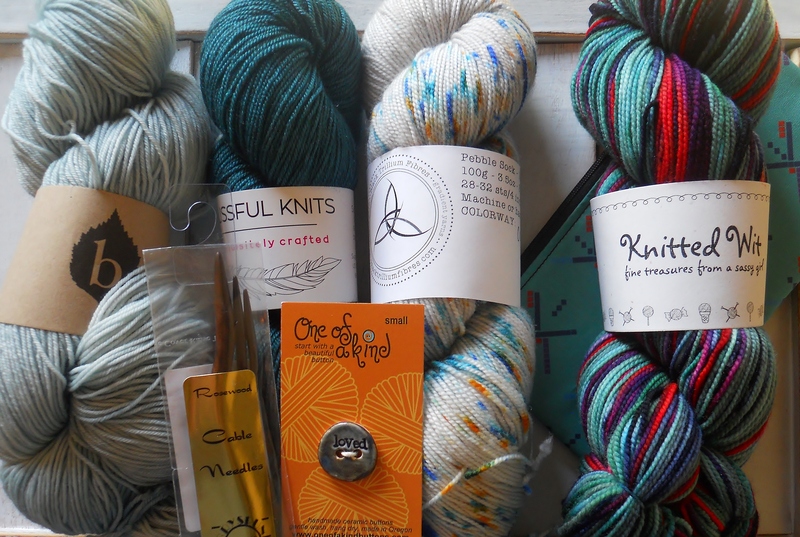 I wrote all about the lovely yarn and goodies here: Giveaway Details. 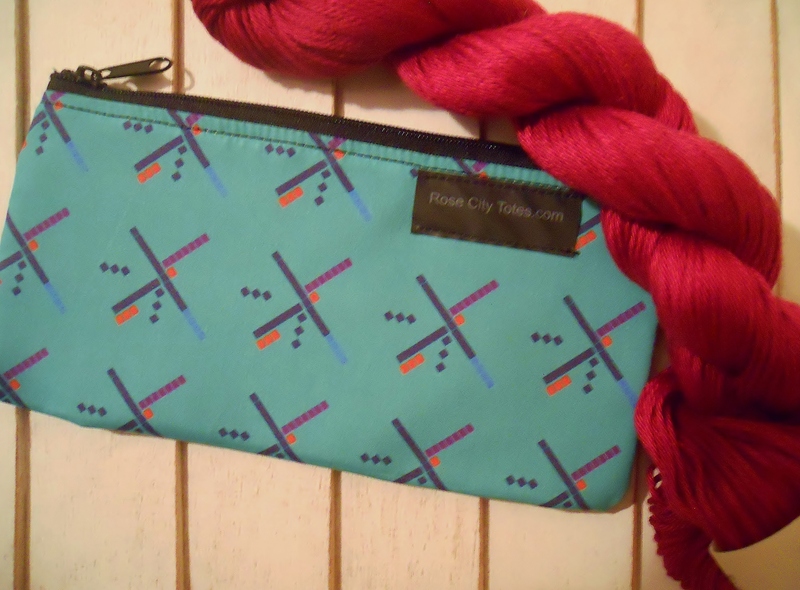 In the meantime, I am giving away smaller goodies that I purchased during the Rose City Yarn Crawl. 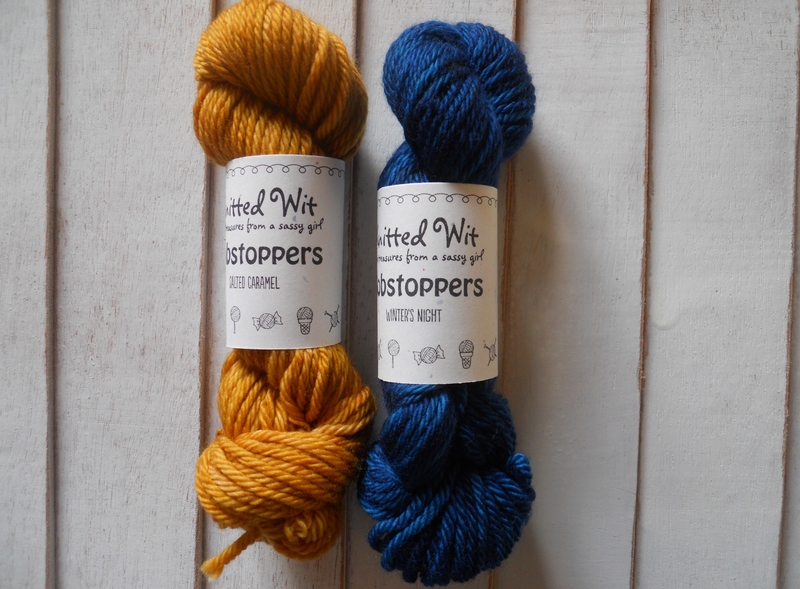 Two terrific Gobstoppers, mini-skeins of worsted weight yarn by the Knitted Wit. Soon I’ll randomly choose a winner for this mini-giveaway and then will start the next mini-giveaway. Come on over to The Cafe and join in! Won by Ravelry user Kepanie. 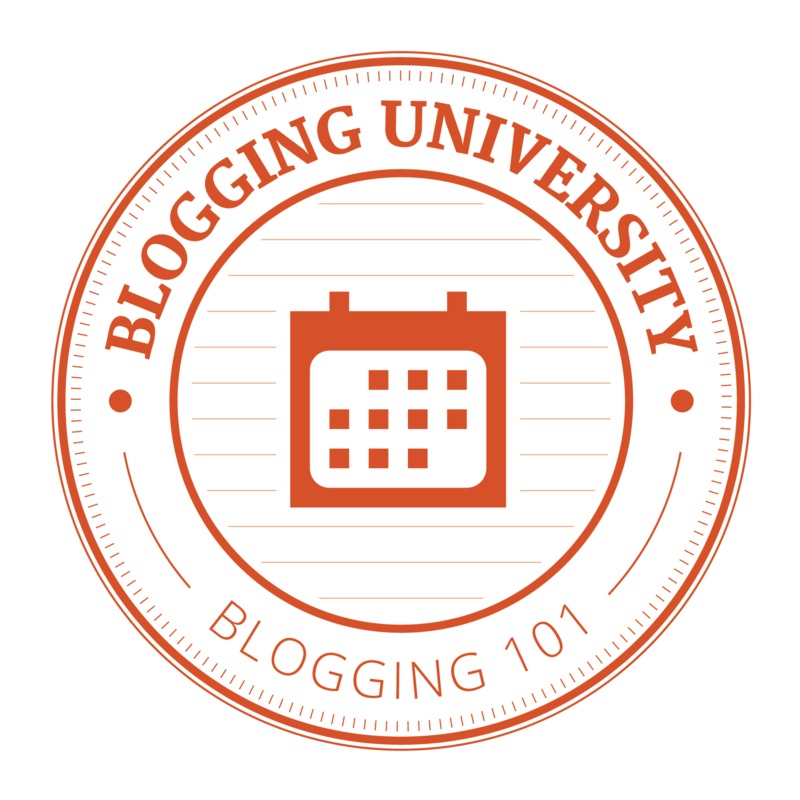 She wrote about it in this post on her blog: Wooly Cakes and Wooden Spoons. 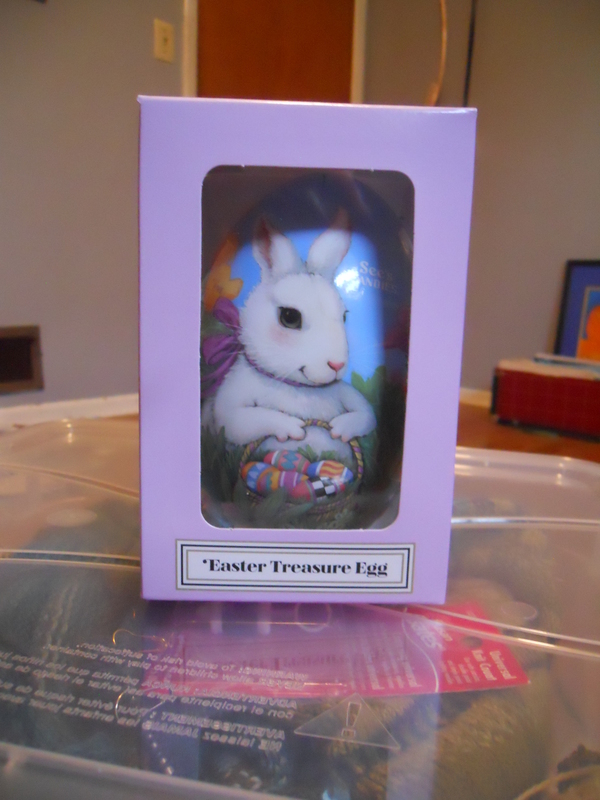 Just in time for Easter, this See’s Easter Treasure Egg was won by Ravelry user stamura. 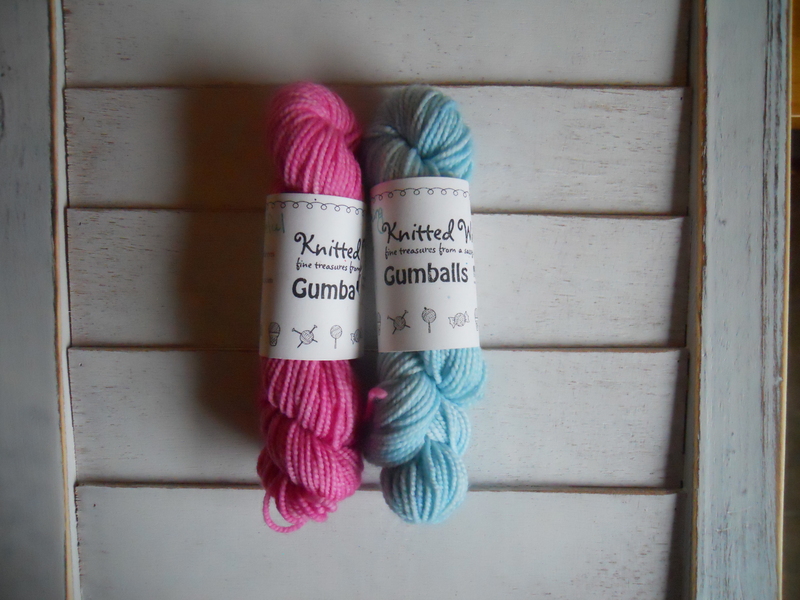 These awesome Knitted Wit Gumballs, mini skeins of yummy yarn, were won by Ravelry user QueenKally. A wonderful project bag from Happy Knits. Adorbs! Won by Ravelry user PLC1. Awesome and amazing buttons from One of a Kind Buttons. We discussed it in the group and we think the first one belongs on a mug cozy. Won by Rav user saminar. I hope you will come check out the group, the thread and the giveaway if you are interested. 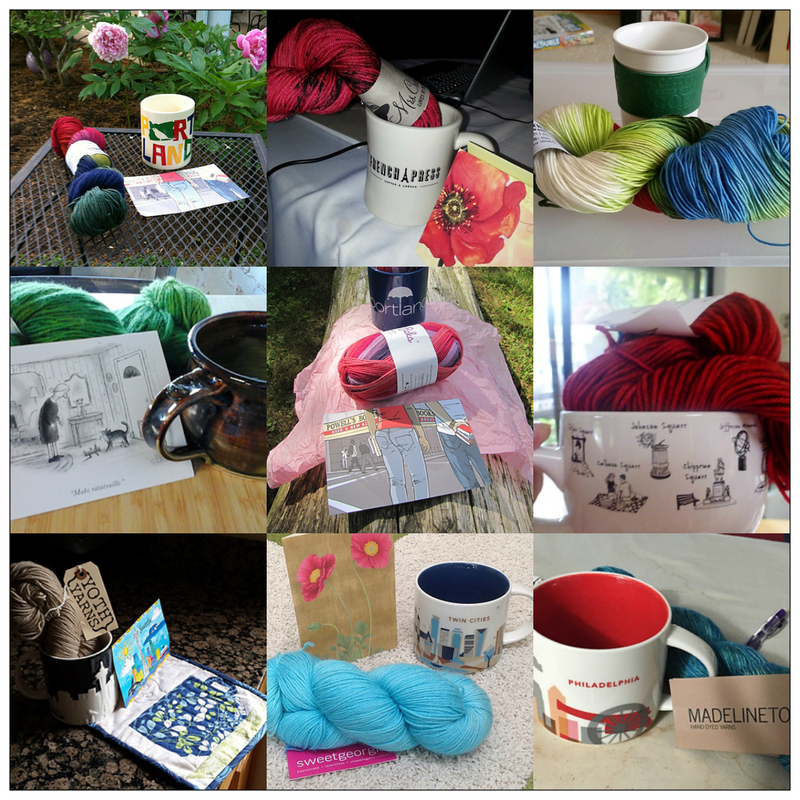 We love to chat about knitting, yarn, and life in general, and we love to have new knitting friends join in the fun. You find such cute stuff. Mahalo for the opportunities.